Matthew Campbell graduated from the University of Melbourne Medical School in 1984. 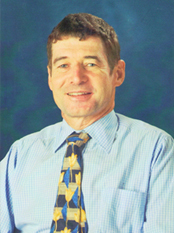 He completed his Fellowship in ENT Head and Neck Surgery in 1995 and won the Jean Littlejohn medal for research (1994) and the Hugh Noel Puckle Prize (1996). Matthew then went to Europe for further training in middle ear surgery (Würzberg, Germany), vocal disorders (Lyon, France) and Head and Neck Surgery (Dublin, Ireland) before returning to Melbourne. While he is loved by his paediatric patients and their families, he also relishes his work in sinus surgery, rhinoplasty, middle ear surgery and head and neck surgery. He is currently involved in research in obstructive sleep apnoea with an international multi-centre study and the respiratory unit at Austin. The Respiratory Medicine Unit and the Institute of Breathing and Sleep both at Austin Hospital are world leaders especially in the areas of sleep disturbance and obstructive sleep apnoea (OSA). These institutions and Matthew are currently approaching completion of the second phase of testing of a new device for OSA in a multicentre trial with centres in Australia, USA and Europe. The Melbourne arm of the study through IBAS and with Matthew as the implanting surgeon have implanted the most of these devices more than anywhere else in the world. We hope that the results from this second phase will reflect the excellent results from the first phase or pilot study and that we will soon be able to offer this device as one of the many treatments for OSA. Most snoring and OSA problems can be improved by simpler types of surgery or with non-surgical treatments. These devices include mandibular advancement splints (MAS) or CPAP (continuous positive airway pressure) masks. The essential step is an experienced initial assessment of airway patency, with possible sleep study assessment afterwards. Damien Phillips grew up in Melbourne’s eastern suburbs and after an undergraduate science degree completed a postgraduate medical degree at University of Queensland in 2001. He has since held positions as registrar of Ear Nose & Throat Surgery at Royal Children’s, Monash, RVEEH, Box Hill, and Austin hospitals. Damien completed his advanced surgical training in ENT, Head and Neck Surgery in Melbourne in 2010 when he gained fellowship to the Royal Australasian College of Surgeons. He has recently returned from London where he worked for 18 months. Initially completing an Advanced Surgical Fellowship in ENT, Head and Neck Surgery at St George’s Hospital, he then gained further paediatric ENT experience at St George’s and Great Ormond Street Hospitals in London, England. Following his time in London, Damien went to the world renowned Cincinnati Children’s Hospital, in Ohio USA. Damien has appointments as an ENT surgeon at Austin, Northern and The Royal Children’s Hospital. He has private operating lists at Cotham Private Hospital (Kew) and St Vincent’s Private Hospital (East Melbourne – formerly Mercy Private Hospital) and La Trobe Private Hospital (Bundoora). Being a father of two young children Damien has a special understanding of paediatrics and young families. He has special interest in head and neck oncology, sinus surgery and paediatric ENT problems including various hearing loss and glue ear treatments and treatments for snoring and sleep apnoea in children. Dr Zenia Chow is dual fellowship trained Otolaryngologist Head and Neck and Facial Plastic and Reconstructive Surgeon. Zenia has completed a Bachelor of Medicine and Surgery with honours after obtaining an academic scholarship at the University of Melbourne, and was in the Dean’s Honours list during her undergraduate studies. She completed ENT training in Perth and became a Fellow of the Royal Australasian College of Surgeons in 2013. During her ENT training she has worked extensively in the Kimberley as part of an ENT Aboriginal Outreach Program as well as presenting research at national conferences, winning the poster prize at the Frontiers Conference. She also enjoys teaching and examining medical students, and previously was nominated for Teacher of the Year at Royal Perth Hospital. 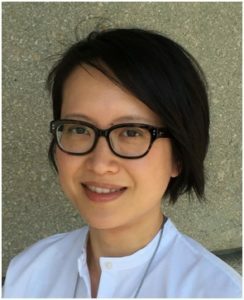 Dr Chow has extensive experience after completing 3 Clinical Fellowships. She completed a Facial Plastic Surgery Fellowship recognised by the Australasian Academy of Facial Plastic Surgery (AAFPS) in Perth. Following this, she completed Head and Neck and Facial Plastic and Reconstructive Surgery Fellowships at the University of Virginia, USA. In addition, she spent time furthering her skills with world leaders in Facial Plastic Surgery at the University of Washington, USA. In 2014 she was awarded the American Academy of Otolaryngology International Travel Grant and Perth Convention Centre Travel Grant. Dr Chow has also successfully passed the American Academy of Facial Plastic and Reconstructive Surgery exam. She was awarded the second highest score out of all international candidates and following completion of this exam was recognised as a fully qualified Facial Plastic Surgeon by the AAFPS. Dr Chow is the only surgeon in Victoria who has this qualification and completed a Facial Plastic Surgery Fellowship.